The AENEAS (Advanced European Network of E-infrastructures for Astronomy with the SKA) is a 3 year initiative funded by the Horizon 2020 program to develop a science-driven, functional design for a distributed, federated European Science Data Centre (ESDC). The ESDC will be part of a network of science data center that will help the astronomical community make fundamental new discoveries with the largest radio telescope in the world - the Square Kilometre Array (SKA) that is currently being built in Australia and South Africa. 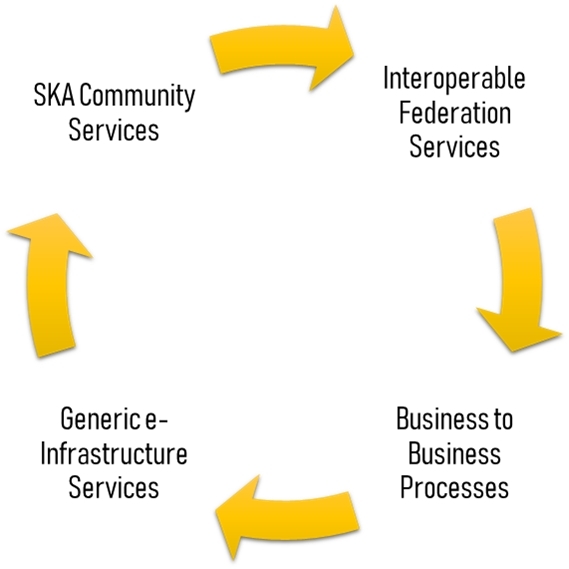 AENEAS brings together all of the European member states currently formally part of the SKA collaboration as well as potential future EU SKA national partners, the SKA Organisation itself, and a larger group of international partners including the SKA site host countries. Our partners also include several key, EC e-infrastructures such as GÉANT, the European GRID Initiative (EGI), the European Virtual Observatory (EURO-VO), and the Research Data Alliance (RDA), as well as world-class, European research infrastructures including the Joint Institute for VLBI ERIC (JIV-ERIC) and the International LOFAR Telescope (ILT). 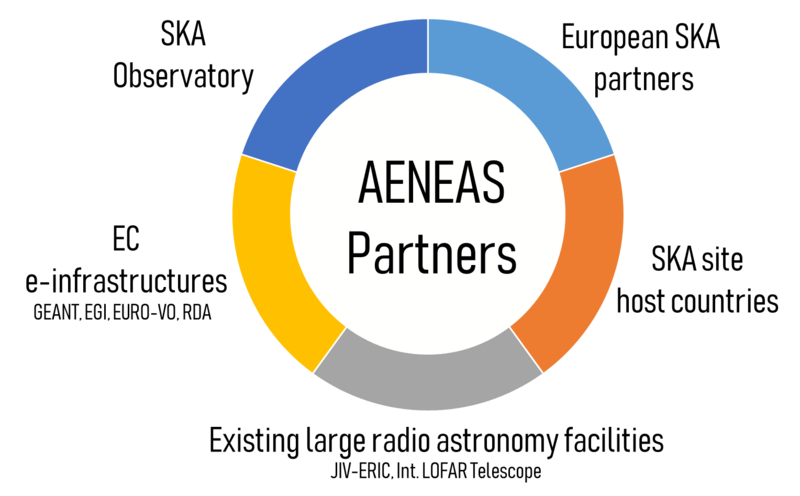 See a full list of AENEAS partners. AENEAS partners are part of, and therefore can actively engage with the European radio astronomy community to define the required capabilities of the envisioned ESDC such that it can serve the full breath of the SKA science cases. While developing the design of the ESDC, AENEAS will leverage existing products, technologies, services, best practices and standards offered by European e-Infrastructures and integrated e-Infrastructures worldwide. The user requirements gathered by the AENEAS team will in turn fuel innovation in networking,computing and storage technologies.